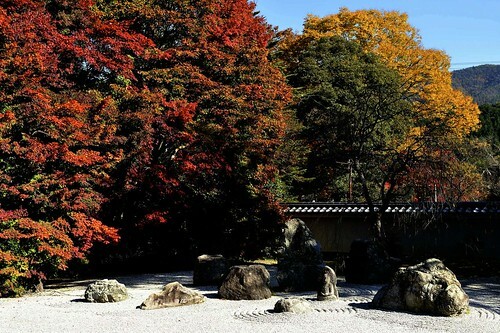 As we are preparing ourselves for the busy autumn season at hachi, we came up with a top 8 list for our guests to spot the wonderful maple trees turning red in Kyoto. Popular spots such as Kiyomizu-dera, Tenryu-ji, Kodai-ji and several other temples are well known, but therefore very crowded. So here is a list of some places that are either not well known (yet) or more difficult to reach which make them less crowded for your perfect autumn experience in Kyoto. Jingo-ji is located north of Kyoto city, in the valley of Takao. 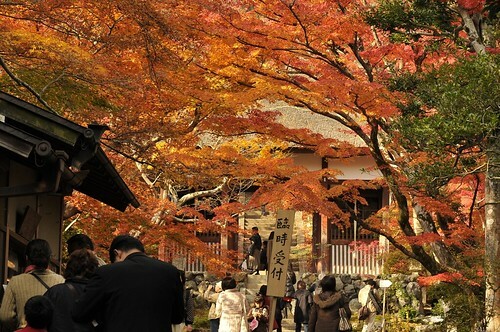 At this temple you can enjoy the autumn foliage before it starts in the center of the city. Don’t miss the illumination of the trees in the evening! Another spot where the autumn foliage starts earlier than in the city is in Ohara’s Rakuhoku area northeast of Kyoto where the colors are bursting in the garden of Sanzen-in. 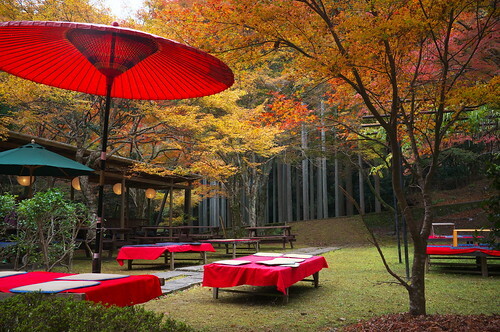 Yoshimine-dera is located in the western mountains of Kyoto. Enjoy the autumn colors with a wonderful view over the city. Daigo-ji is a more popular spot in our list but the foliage of the maple trees at the beautiful pond of the temple ground can’t be missed in autumn. If you are on the hunt for the perfect instagram picture Jisso-in is your spot. The view of the maple trees through the round window frame will get you instant likes! Since Jojakko-ji is located in the very famous Arashiyama area in autumn this temple can get crowded. 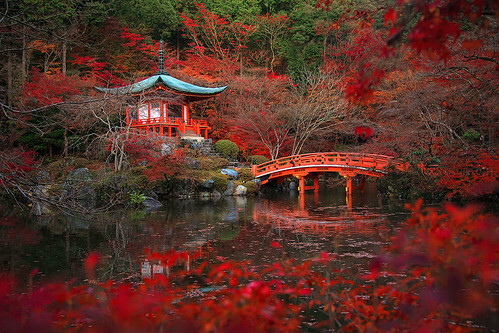 Still, the temple’s pagoda and the colors are a great spot to enjoy autumn in Kyoto. 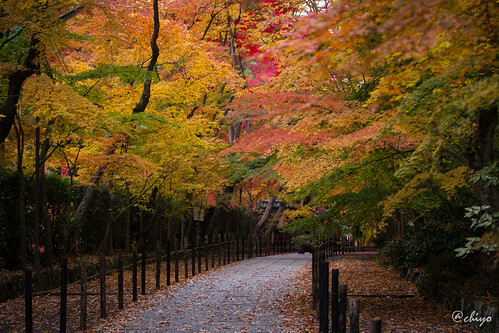 The famous temple of maples is located in Nagaokakyo city which is just about 10 minutes away from Kyoto Station. Komyo-ji has some over 100 years old maple trees and due to its location not much known by tourists who visit Kyoto. 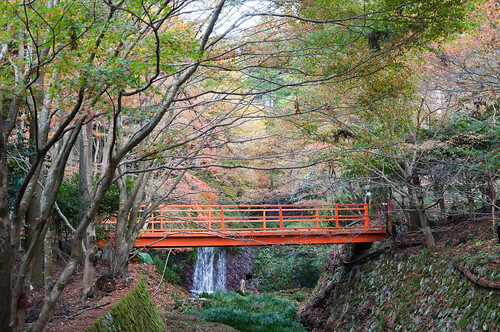 Another lesser known temple in Kyoto is located 20 minutes away from Yamashina Station. 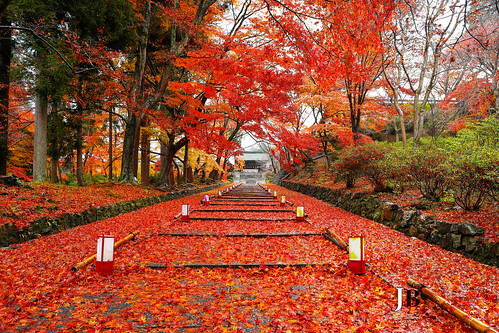 The tunnel of momiji is a top viewing spot. © Copyright 2019 京都町家ゲストハウス hachi. All rights reserved.